A picture heavy post today – and not so much of the rabbit* for a change – as I’m pressed for time and might have to go back over to the U.K. at the weekend to give my sister a little break in the care of our Mum. 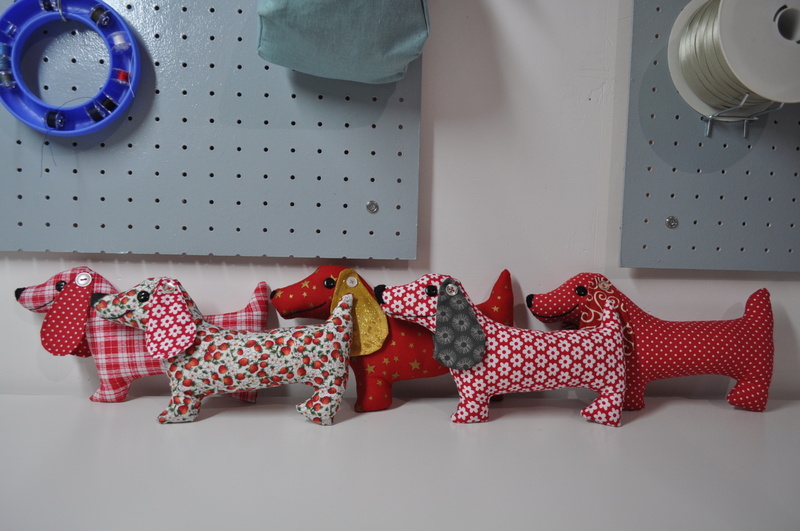 It’s Kate and Gun’s ScrapHappy day so I’m joining in with some creatures made from scraps to show you. 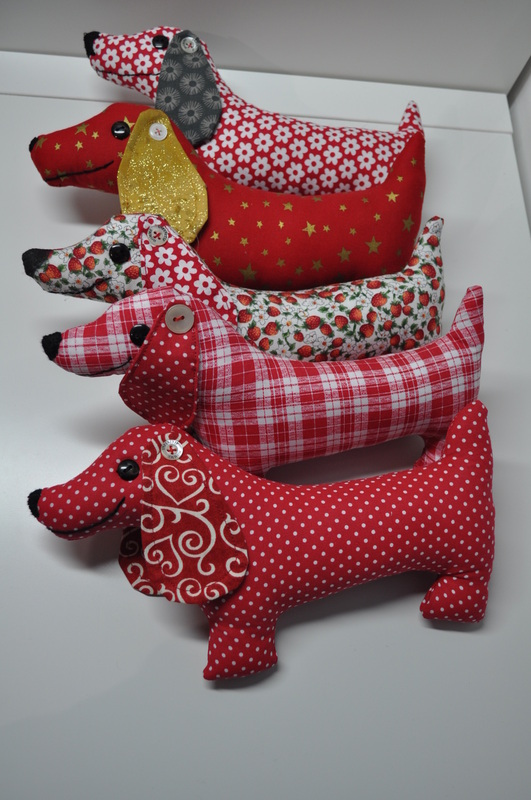 Remember the dogs I was making for a garland to bedeck my stall with at the upcoming Christmas Fair in aid of the dogs retirement home? Well there are now five of them and I think that’s how it’s going to have to stay as I’m not sure I’ll get round to making any others now before the event is upon us. I still haven’t decided how I’m going to join them in a garland but it will come to me I’m sure. 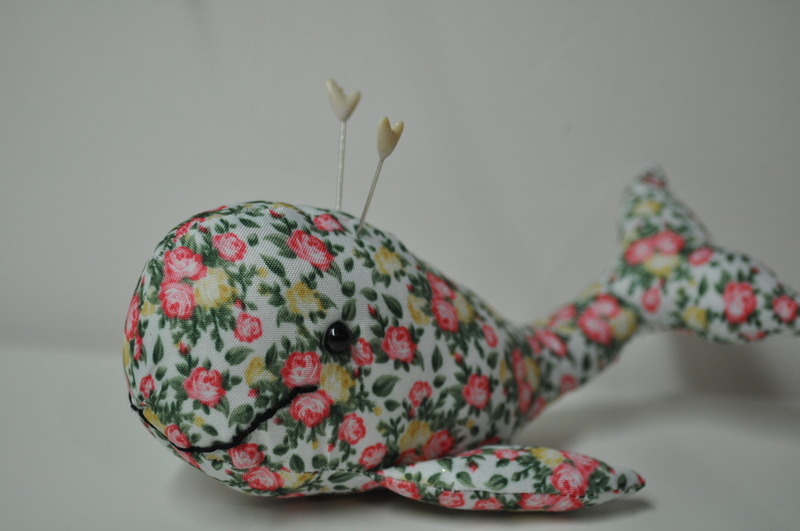 I also made another whale pincushion and, even though you know it makes me feel bad to stick pins in it, I have. Who says you can’t have a floral whale? 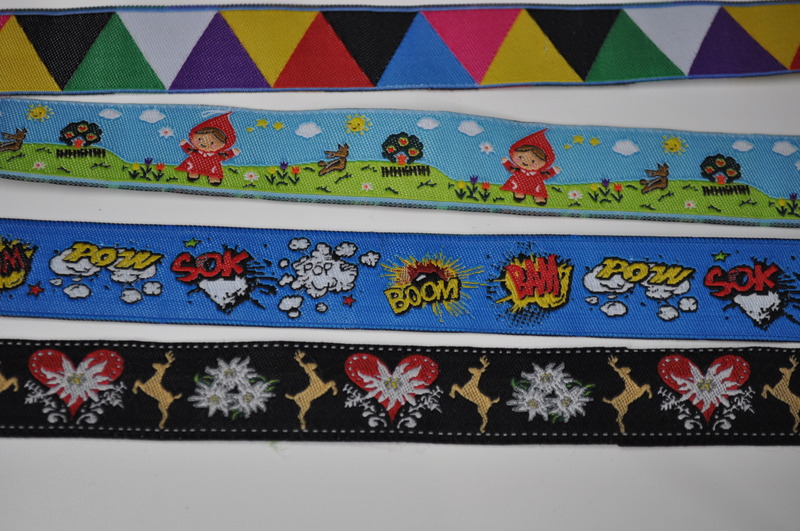 Talking of fund raising, I just received some new ribbons I ordered for the dog collars I make. 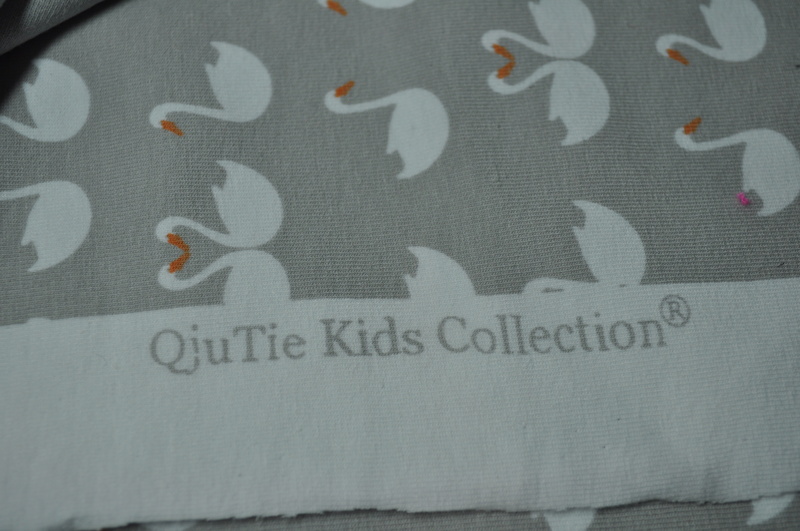 They are very nice quality woven ribbons and are very bright and breezy. I love the Red Riding Hood one, so cute. 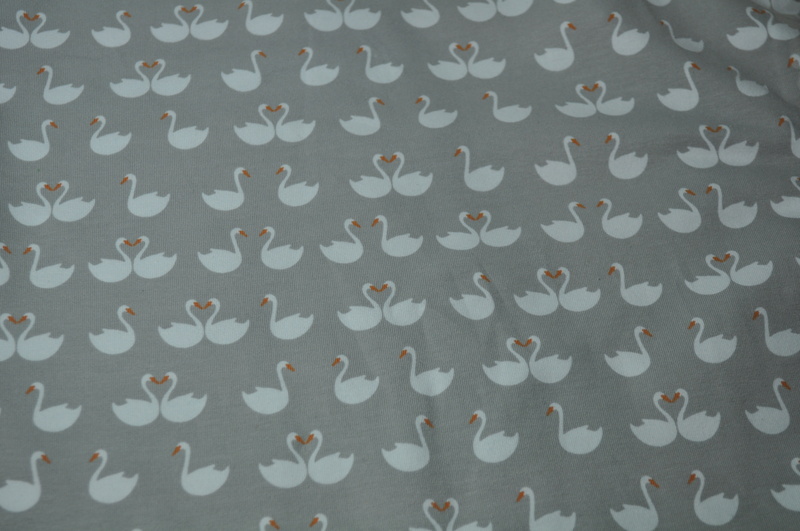 From the same company I ordered this lovely jersey fabric which I might make into a warm, snuggly dress for the winter – or a tunic if I haven’t got enough of it. Kids indeed – what nonsense! I’m not afraid to wear a swan dress. 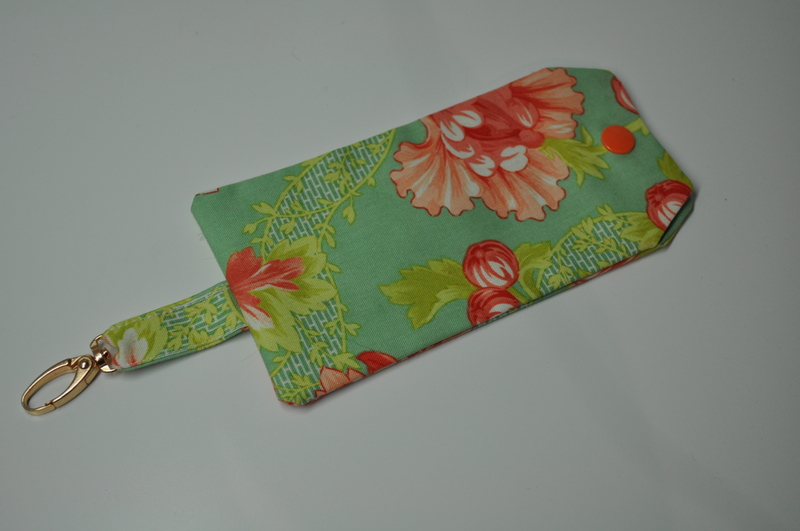 I had a happy unbirthday today because the very generous Claire sent me a gift of this little pouch which is just the right size to keep a packet of mini tissues in. Such gorgeous fabric and the little snap hook on the end will make it just right to clip into my handbag and save me rummaging in the depths when I need to dry a tear (or blow a nose). I have a couple of knitting and crochet finishes to show you but they will have to wait until I’m back from the U.K. and have, hopefully, participated in the Christmas Fair on the 25th of this month. Everything is a bit up in the air at the moment and days, let alone weeks, must be taken one at a time. 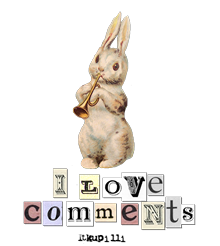 * ‘Rabbit’ – short for ‘rabbit and pork’ which is cockney rhyming slang for ‘talk’. Just in case you were wondering.